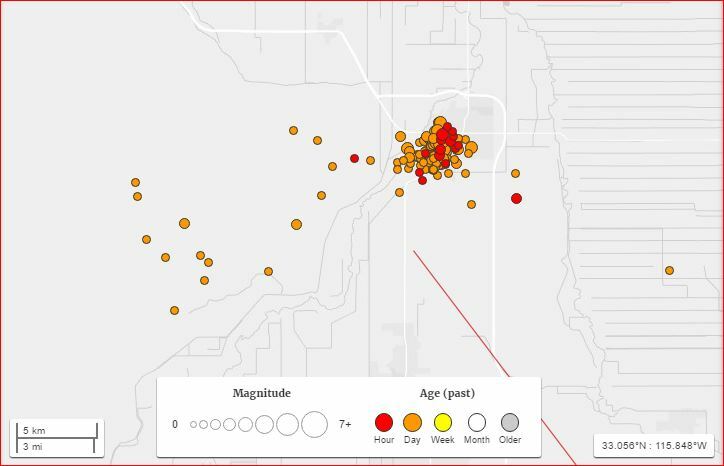 A swarm of more than 100 small earthquakes hit Brawley, a small city situated only 30 miles from the San Andreas Fault, on Saturday. The biggest tremor so far was a 3.9 magnitude, but USGS said larger quakes were possible and the shaking may continue for several days. A swarm of at least 100 earthquakes hit the region around Salton Sea on December 31, 2016. Three days ago, Nevada was hit by a strong series of earthquakes. On Saturday, another earthquake swarm hit near Brawley, California which is about 125 miles east of San Diego and 20 miles north of the border with Mexico and only 30 miles from the San Andreas Fault. 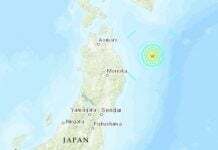 The first earthquake registered a magnitude of 1.1 at about 3:30 a.m. 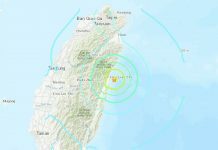 The biggest earthquake so far was a 3.9 magnitude, but scientists said larger quakes were possible and the shaking may continue for several days. 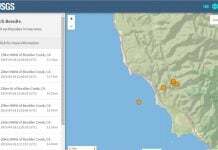 Officials stated the swarm was more than 30 miles from the San Andreas Fault and was not expected to trigger a major earthquake along the fault. Cal Tech said the location of the swarm registered a 5.4-magnitude earthquake back in 2012. The location was also known for geothermal activity and frequent earthquake swarms, according to Cal Tech. There were no reports of damage or injuries due to the earthquakes. But get prepared! The quakes occurred in one of California’s most seismically complex areas. 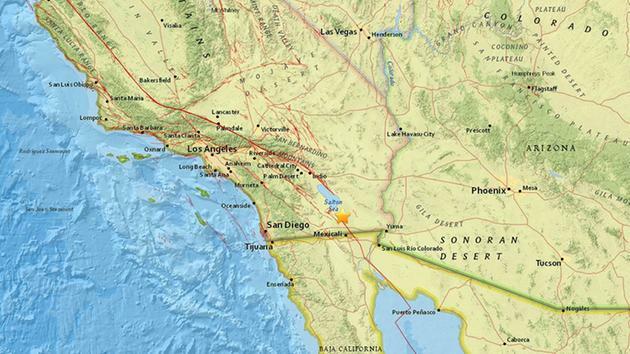 They hit in a seismic zone just south of where the mighty San Andreas fault ends. It is composed of a web of faults that scientists fear could one day wake up the nearby San Andreas from its long slumber.